Gone are the days when slow-pitch softball was only for the beer leagues. Nowadays, there are intense and impressive leagues with players who look like they belong on a minor league baseball field. But that doesn’t mean that the fun and light recreational leagues have been forgotten. Because of the rise in popularity of the sport, manufacturers have been pushed to pay more attention to the equipment they make, and that’s given players an incredibly wide range of options. 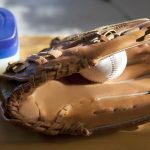 But with all these options, finding the right one may prove to be quite the challenge, but below we take a look at the best slowpitch softball gloves 2019 to make the choice much easier! This is a glove perfect for those who want to play a couple of games a week for a little bit of fun. The glove is designed with versatility in mind, and Wilson did just that. The glove is 13 inches in length which can be used whether you’re playing infielder or outfielder. To add to that, the velcro wrist strap that the glove comes with allows you to attain the best fit for your wrist. If you have this product, you’d immediately notice the closed V-lace web, which really helps if you want to get the ball out of the pocket quicker. Even if this is an incredibly versatile piece of gear, it would work exceptionally with outfielders as the deeper pocket and longer fingers really help on the field, but the closed webbing also allows for quick throws. The glove also has an incredibly sleek design, with a nice combination of black and gray, and the Wilson logo on the velcro strap. The padding used on the glove isn’t the best padding out there, but it’s definitely just right considering the price range it’s in. However, that is somewhat compensated for with the genuine leather that was used on the palm, that gives a little bit of extra cushioning. For those playing in fun and light leagues, this glove will be one of the best in its price range because of its versatility. When Mizuno was designing this sturdy piece of gear, it would be safe to assume that they had durability in mind. The glove has a full grain leather palm and also a pigskin back that means that it will probably last you a long time. This is another great choice for those who like to play a couple of games over the weekend because of how sturdy the glove is, so don’t expect to be looking for a replacement if you have one. The glove comes in 12′, 12.5′, 13′, and 14′ sizes which mean that you can choose the perfect size for your playing style and personal preference. Generally, infielders gloves have shorter fingers and a shallow pocket for more mobility, so the 12 and 12.5-inch gloves would be the most logical, while outfielders would need longer fingers and a deeper pocket to catch the incoming balls, so the 13 and 14-inch sizes would be ideal. At the end of the day, it all depends on personal preference, but whatever size you choose, rest assured that this glove will perform and would be able to take a lot of abuse on the field. 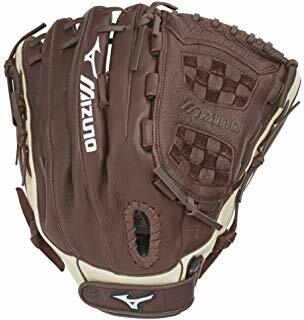 Yet another great slowpitch product from Mizuno, the Franchise glove comes in a very classic brown color, with the iconic Mizuno logo on one of the fingers and on the strap. Coming in 12.5-inch, 13-inch, and 14-inch sizes, rest assured that if you’re considering buying this product that you’ll find the right size whether you’re playing infielder or outfielder. One great feature of this product is the HiLo Lacing, which is an innovative way of lacing that retains the integrity that one would look for in a fully laced web while having much more flexibility. This extra flexibility would really help when playing long games on the field. The patterns on the glove were specifically designed for softball, which can really help up your game, while also utilizing Java Leather, which is pre-oiled. However, breaking this glove in may take some time and oil, so you may want to consider steaming the glove if you get one for yourself. All in all, this glove can be utilized for any position or playing style and would be great for both recreational and serious leagues. This glove comes with a very interesting colorway, a white and red combination that isn’t too common with softball equipment. This is a glove that would be perfect for outfielders. It’s a very large glove, measuring 14-inches long, with a deep pocket and dual post webbing. This is great for those who need to catch the balls that are flying in the outfield. This is a premium product, that means that it’s made of premium materials. The whole glove is made of white and red top shelf leather, so rest assured that this glove will feel incredibly comfortable. 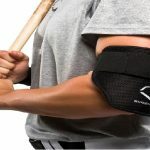 This is a product that was designed for slowpitch softball, so it would work great if you played on a more serious level. Mizuno definitely takes slowpitch softball seriously and it shows with the gear that they release. 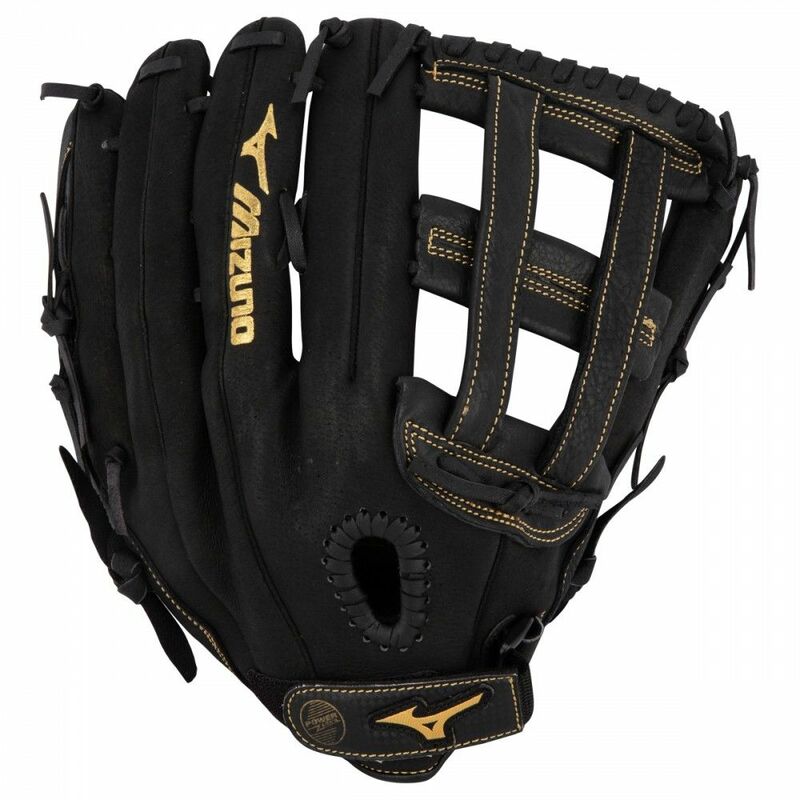 The MVP is another glove from Mizuno designed with slowpitch softball in mind. 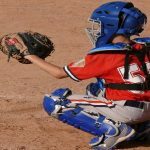 The glove is versatile enough to be used by both infielders and outfielders, seeing as it measures at 13-inches, but some infielders may find that too large. The glove has a Tartan web that can really help on the field, especially with the deep pocket. However, the deep pocket also means it may take a bit more effort to take the ball out. The MVP is one of the best gloves on the market and is used by some of the best slowpitch players in the game, but the glove would also give some sort of an edge during Sunday slowpitch leagues. This glove is simply well made, well designed, and greatly accepted within the slowpitch softball community. 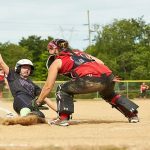 It’s no secret that when it comes to slowpitch softball equipment, Mizuno is arguably one of the best, and the GFN1250S1 Franchise does nothing but helps their case. The glove uses high quality, pre-oiled Java leather which is game ready and also extra durable. That means that if you have this product you can bring it straight to the ballpark without having to oil or steam it. Another great addition to this product is the Parashock palm pad, making this yet another great piece for outfielders. The glove uses HiLo lacing, which is known for keeping the integrity of a fully laced web, while also having a great deal of flexibility. To add to that, the strap uses Mizuno’s famous power lock technology for an incredibly secure fit, so there’s no need to worry about the glove slipping off at any point. This nothing but another great product for slowpitch softball players, and deserves to be on top of your list of what glove to buy. All of these products are great and are a good sign of things to come for the world of slowpitch softball. While all these products have their own pros and cons, at the end of the day the best glove that you can wear is one that you feel comfortable in. Personal preference should play a big role in your choice of softball glove, and as long as you’re content with the glove you have, there’s nothing wrong with what you choose.